? 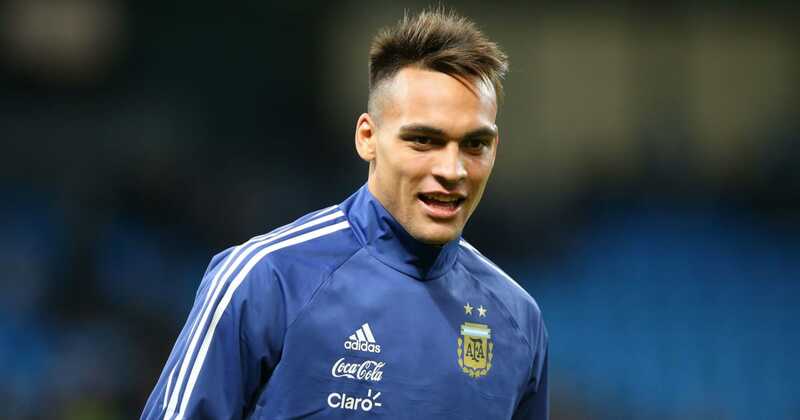 ?Inter have announced that Lautaro Martinez will wear the number ten shirt in his first season with the ?Serie A side. ?The 20-year-old recently signed a five-year deal with the Italian giants worth in the region of £20m, but the original announcement failed to disclose the shirt number of the Argentine. Now confirmed ?via the club’s official Twitter account, Martinez has been handed the number ten for the forthcoming campaign, following in the footsteps of notable predecessors: Wesley Sneijder, Ronaldo and Roberto Baggio among a host of other famous names. The number ten had previously been occupied by West Ham loan star Joao Mario, with the decision to redistribute his number to a new signing suggesting that the Portugal international’s time at San Siro is up, ?with the club reportedly looking to cash in on the midfielder. With Martinez now set to wear the iconic number, he insists that their is no extra pressure, referring to his success at Racing Club whilst wearing the number ten shirt, scoring 18 goals in his final season in Argentina, before moving to Italy. Inter have been very active so far this transfer window, with Martinez joining Radja Nainggolan, Federico Dimarco, Matteo Politano, Stefan de Vrij and Kwadwo Asamoah at San Siro already this summer.